My first dunun, made from a metal cylinder that had been a trashcan in Issue, Maryland for who knows how long. I got the idea from the liner notes of a Guinean percussion CD made in France. 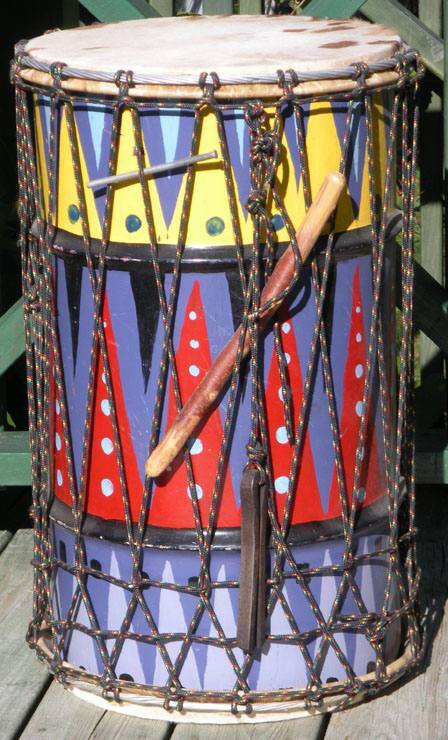 The bell is a recycled railroad fastening pin. It's a sangban when a real kenkeni is present, but it's been used as a kenkeni when it was the highest pitched dunun.